As a brilliant keynote speaker on motivation and sales, Martin presents all around the world. Find out more about his speech topics here. 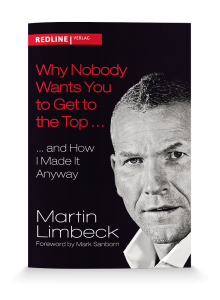 Martin Limbeck is a renowned international sales and management trainer. He stands for an efficient and targeted tuning of sales teams and processes. “Hard on the outside, soft on the inside” is how the Austrian newspaper “Verkaufen” (“Selling”) referred to Martin Limbeck. And this hits the nail on the head.